Just a few miles from the stadium where the Super Bowl will be played on Sunday, there’s a special display of drawings, paintings and sculptures honoring the legacy of Tommie Smith, that black-gloved warrior for social justice at the 1968 Mexico City Olympics. 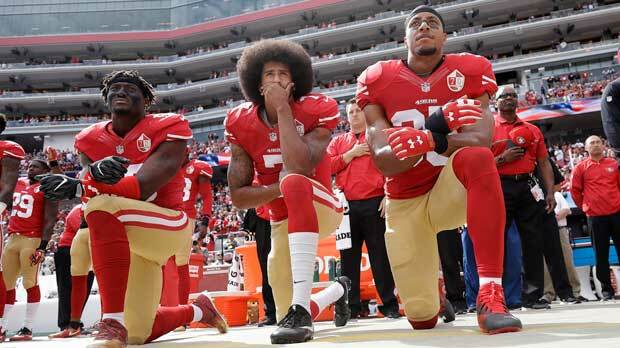 While Kaepernick is sure to win the war, that won’t be apparent for years or even decades. The immediate battle — his playing career — is most likely over. At least Brundage — by all accounts, a generally horrible human being — didn’t attempt to sugarcoat his actions. He didn’t like what Tommie Smith and Carlos had done, so he punished them with all his might. We can’t say the same for NFL Commissioner Roger Goodell , who continues to stand by the ludicrous notion that Kaepernick’s lack of offers is a football decision , reached independently by all 32 teams. “If a team decides that Colin Kaepernick or any other player can help their team win, that’s what they’ll do,” Goodell said, sticking to his guns even though his nose was surely growing longer with every word. Talk about comments that won’t age well. But this is the low ground the NFL has chosen to take, and it looks like the league will prevail in ending Kaepernick’s career. The group handed out $2 million in grants to six worthy groups during a ceremony Wednesday, an event held right in the Super Bowl media center and publicized by the league’s mammoth PR machine. If only Goodell and the owners carved out a few minutes in their busy schedules, maybe they would realize how unjust they’ve been. Maybe they would feel at least a tingling of decency. Maybe they would finally do the right thing.